It doesn’t look like much at the moment, I know, but when it is finished it will (hopefully / eventually) be a wall hanging for my new house! 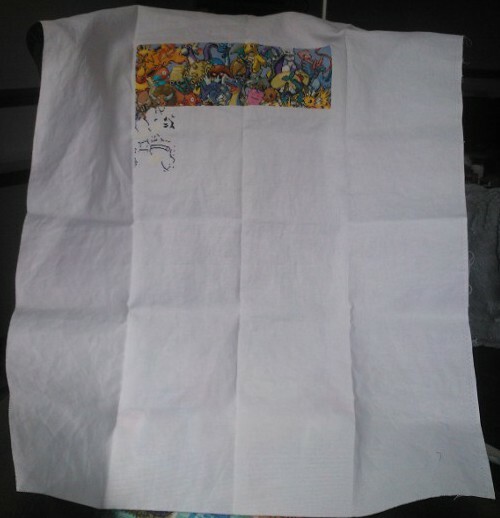 It’s a roughly 75 x 150 cm cross stitch featuring all 151 original Pokemon from the game / cartoon / comic series of the same name. I got the pattern from the excellent folks over at Sprite Stitch, which is an incredibly useful website with forums full of helpful and friendly people. 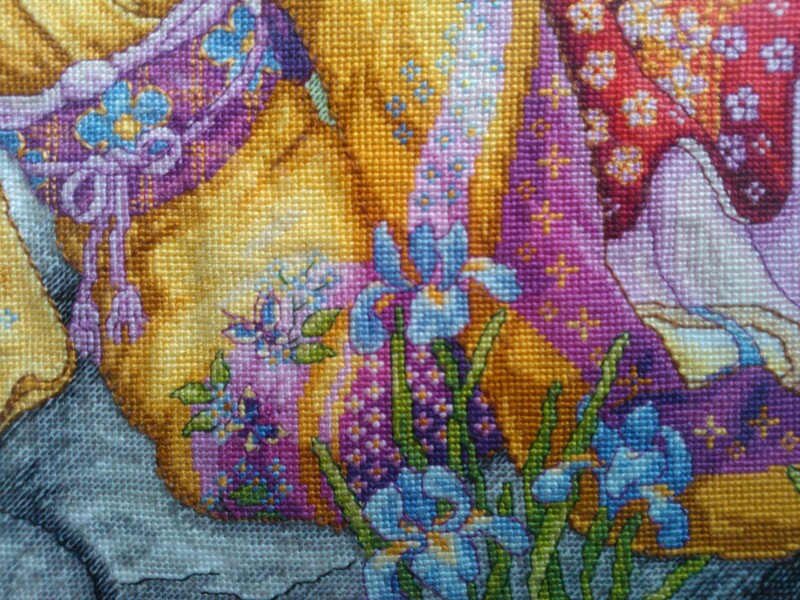 It uses 105 colours, and even when stitched on the highest count fabric I could find in a large enough single piece, it will still be my largest cross stitch project to date. So, here’s my progress so far! I love seeing each of the cute faces coming to life as I stitch. Working on this is an absolute delight, with so many bright colours and happy memories of growing up playing this game with my friends out on the fields in front of my house. 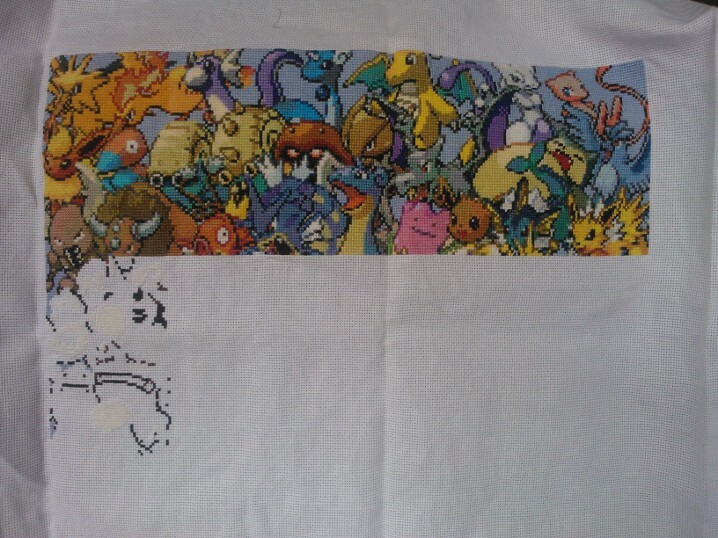 I think this might not mean much to any older readers without kids / grandkids my age, but Pokemon was a formative part of my friends’ and my childhood, so it means a lot to me – and I can’t wait to have this completed and up on my wall! My poor photography skills really don’t do justice to the vibrancy of the colours and the amount of detail in this picture. I am so pleased with how it turned out, with the exception of the faces. I usually refuse to work anything with human faces in cross stitch because I just don’t think it ever looks good unless the piece is on a really huge scale. I prefer to stick to traditional embroidery techniques for faces where possible, but I suppose the faces are such a small element of this piece that they don’t really detract too much from it. 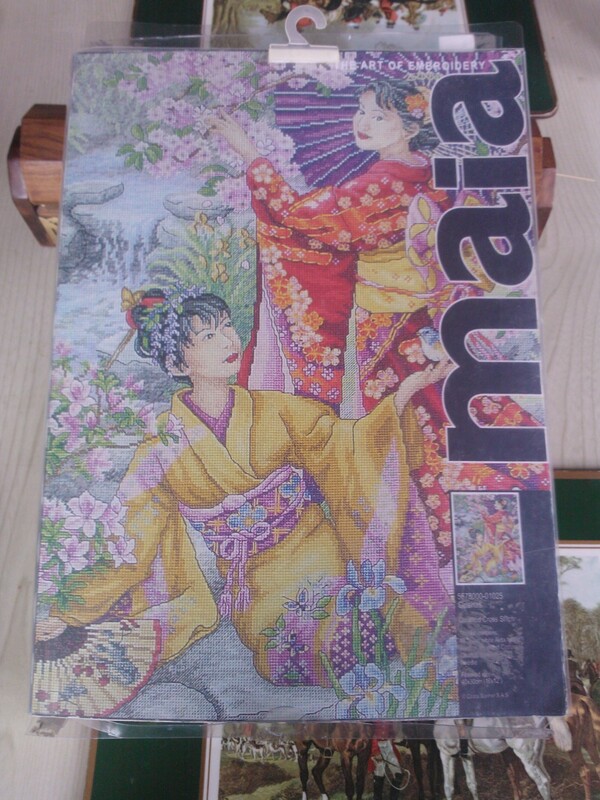 Above is a sample of the detail that went into this pretty large (30 x 40 cm on 18 count aida) piece. I thought I should take the opportunity to do a quick review of this kit, in case anyone else was looking to buy it, so here’s a short bullet point summary of my experience. Really good quality materials, excellent value for money. Most of the threads were full skeins of Anchor, the rest were pre-sorted into a beautiful rainbow of vibrant colours. The chart was split into four and the backstitch detail was printed in several colours, so it was generally easy to read and understand. The design is made up of lots of different elements so I never found one area tedious or boring. Lots of different colour changes and subjects held my interest throughout – and it helped that I did lots of smaller commissioned projects while working on this! The amount of threads provided was inconsistent – I found I had several untouched skeins left over but ran out of two colours entirely. My chart was misprinted in places, it looked like the original had subsequently had another chart printed over the top in some areas. Fortunately it was quite faint and I could still make out the original symbols. In another area of the standing geisha’s hair ornament, there was an area of backstitch indicated in a colour that was not specified in the key, so I had to guess what looked closest to the picture on the box and just hope for the best! Finally, in what I suspect is just me being overly picky, the model used on the box has not been stitched according to the instructions provided, and I feel that it is slightly misleading! For example, the gingham pattern on the purple and blue obi looks like it was done in long stitch, which looks far better than the backstitch indicated on the chart. I think my tiny complaints take away only a little from my overall opinion of this kit, and the Maia range in general, which is very positive. 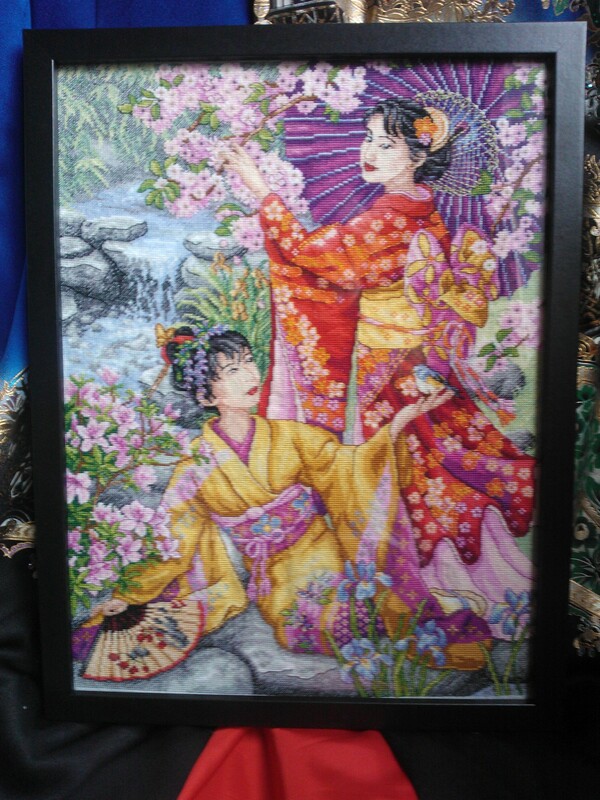 Looking at other stitchers’ completed pictures, I am always envious of how beautiful and detailed they look, and now I can proudly hang one on my wall next to my own vintage kimono!